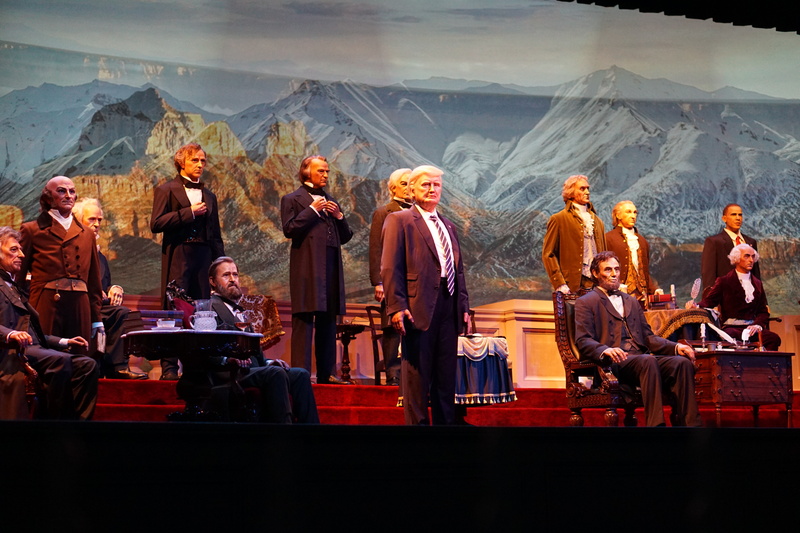 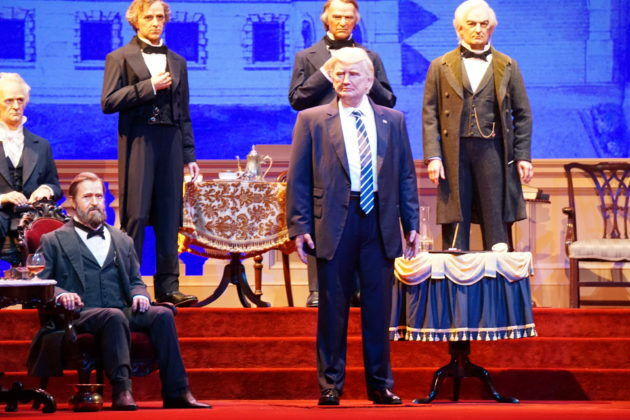 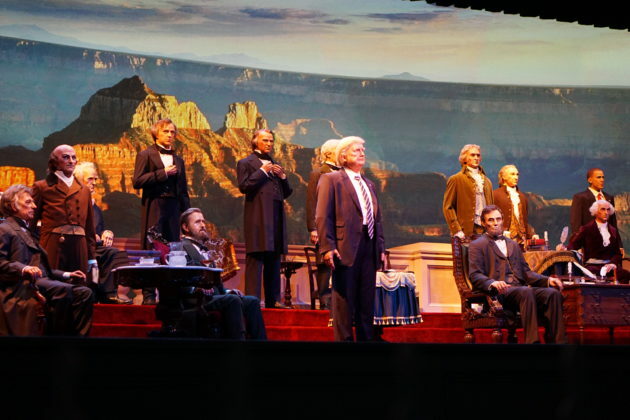 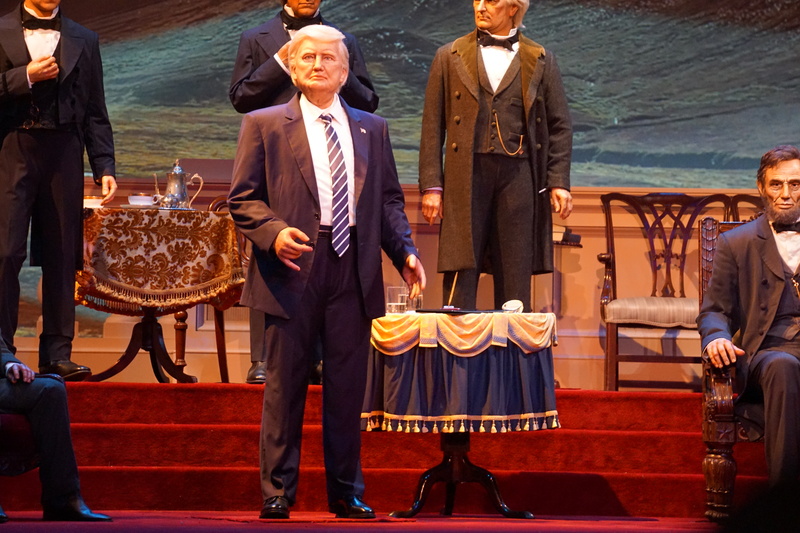 Today (following a soft opening yesterday), Magic Kingdom’s Hall of Presidents officially returned, now featuring the 45th President of the United States, Donald J. Trump. 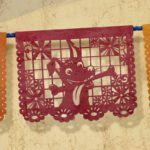 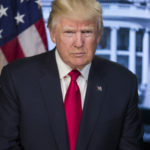 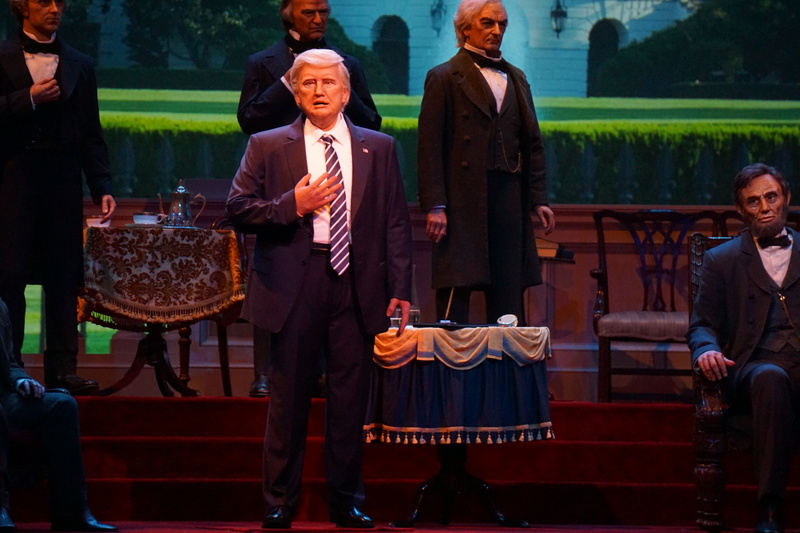 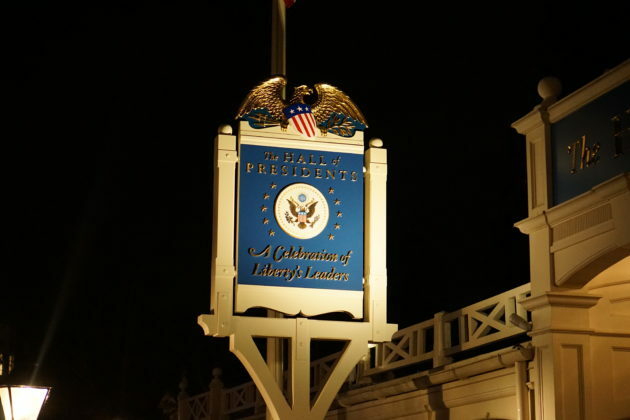 Despite rumors to the contrary that swirled earlier this year, President Trump does give a speech in the updated attraction, marking the continuation of a tradition that started in the 90s. 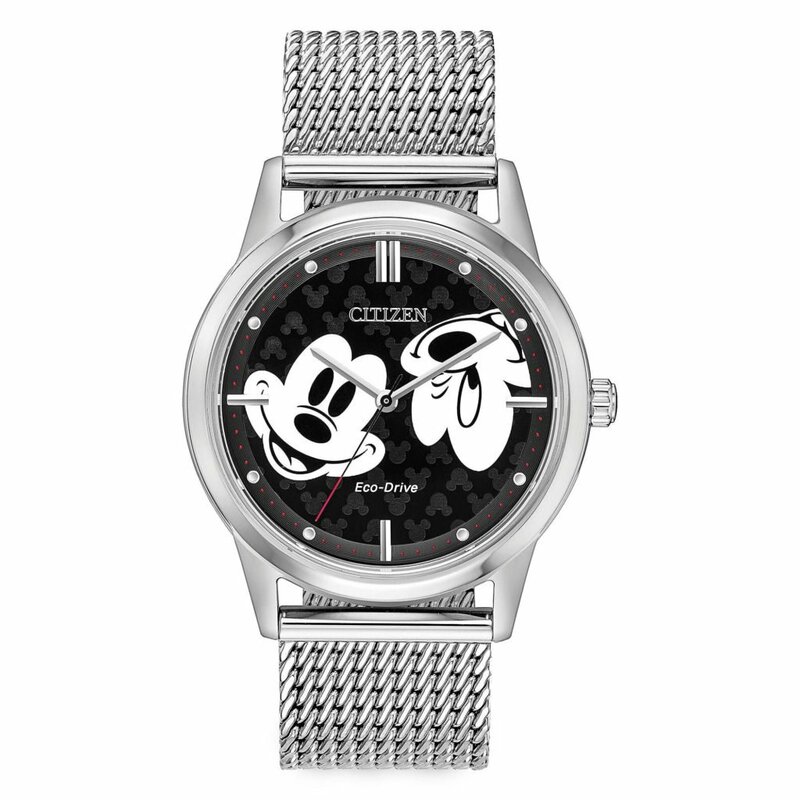 The attraction also features some technological upgrades, allowing for smoother movement. However, as many have pointed out, Trump’s AA doesn’t bear as much of a likeness to the mogul turned Commander in Chief as one might hope. 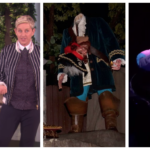 In fact, some have said it looks more like actor Jon Voight while others have theorized the figure was initially intended to be projected winner Hillary Clinton and changed after the fact. 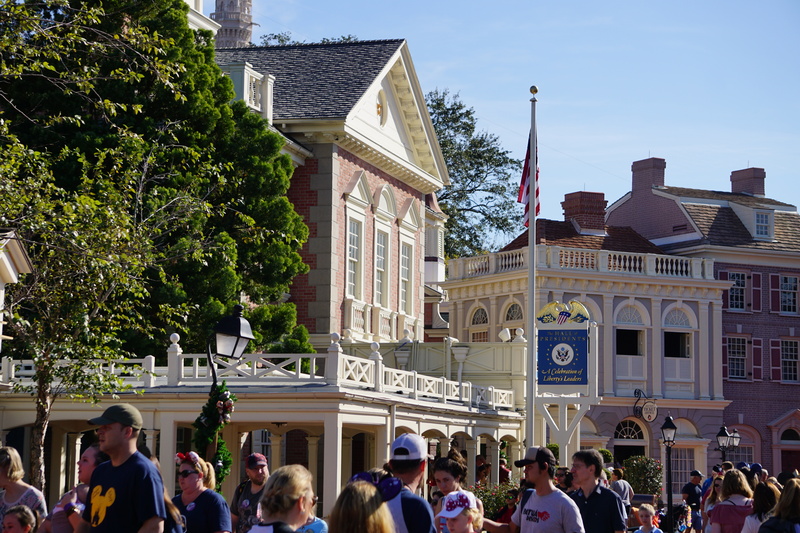 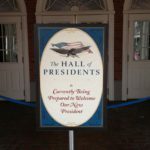 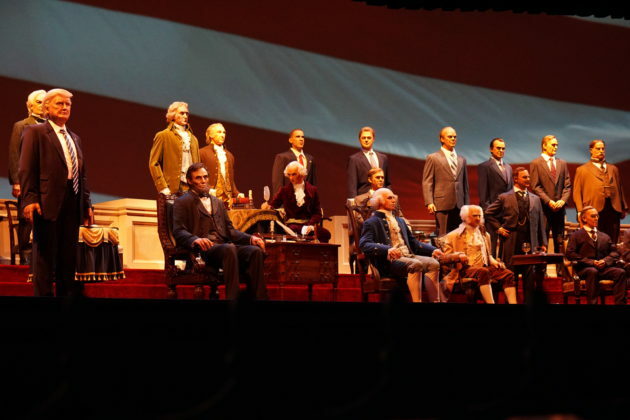 In any case, the new Hall of Presidents is now open at Magic Kingdom in Walt Disney World.